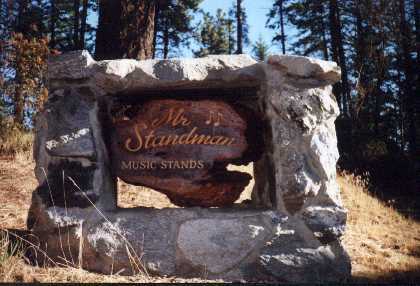 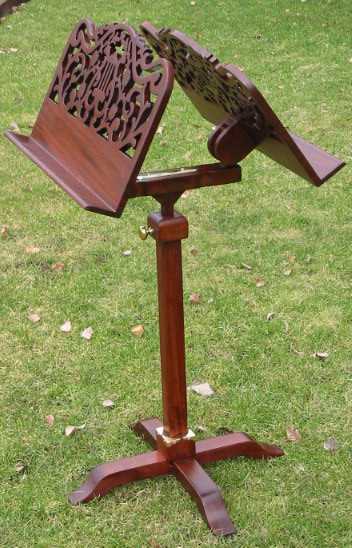 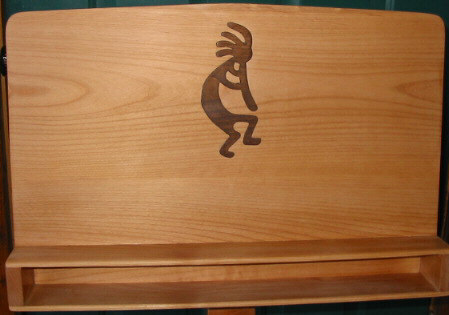 Mister Standman Music Stands as shown above. 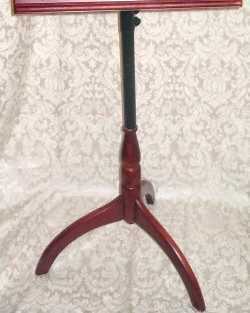 The Tulip Lyre with Violin is $ 385.00. 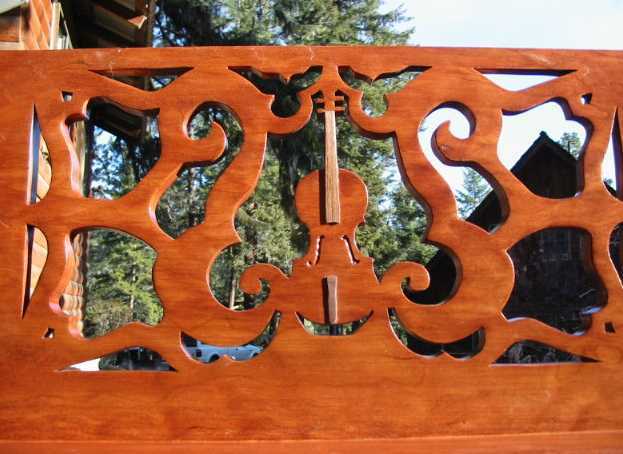 The Classical Lyre with Instrument is $ 385.00. 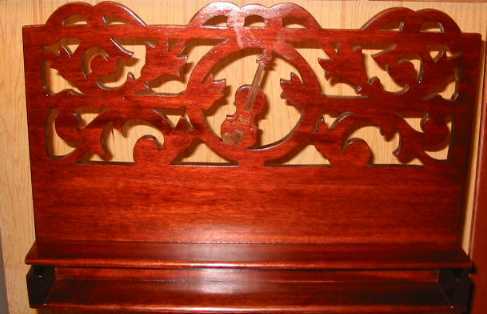 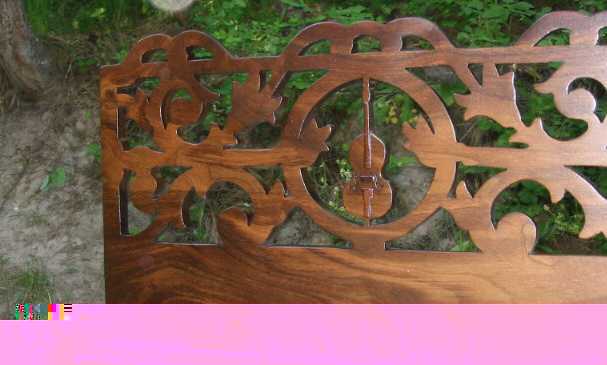 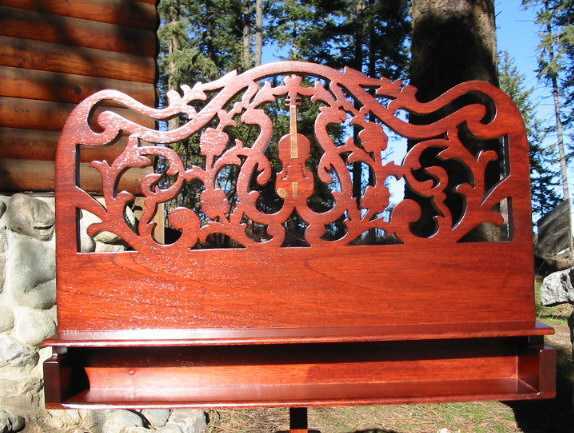 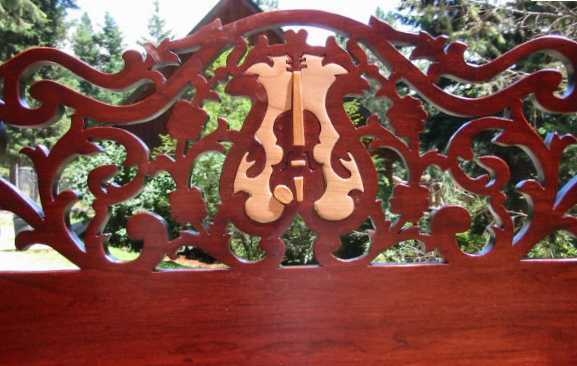 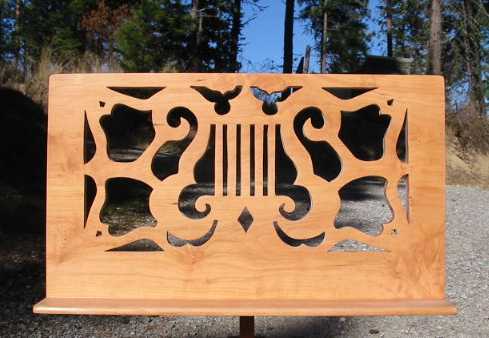 Victorian lyre with Cello - curly cherry - Very Nice !!! 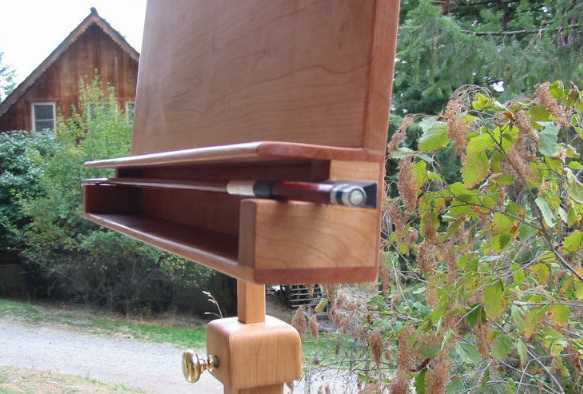 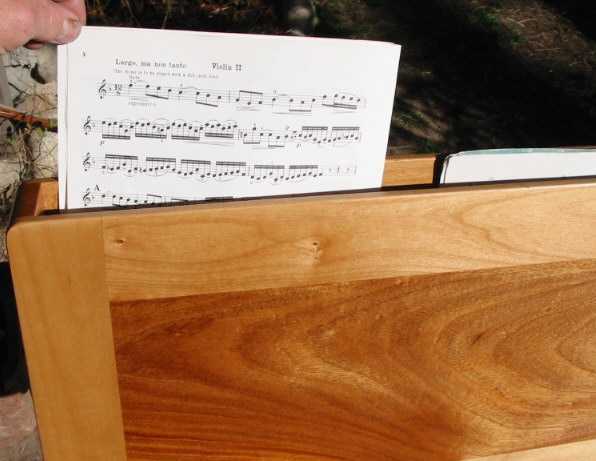 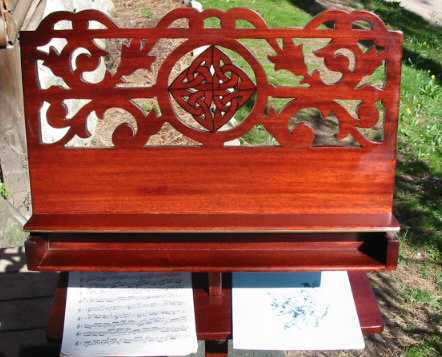 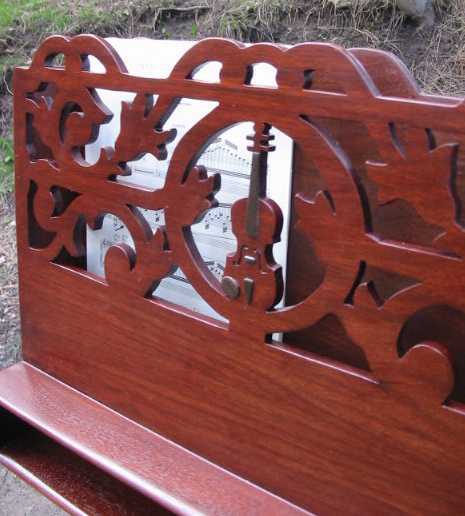 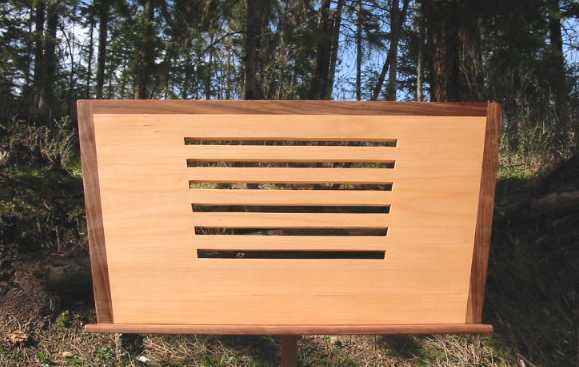 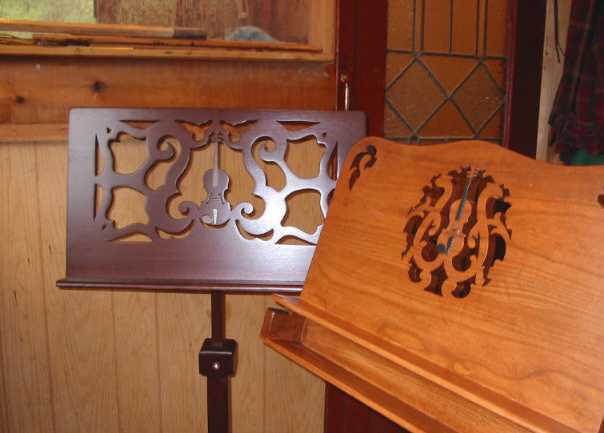 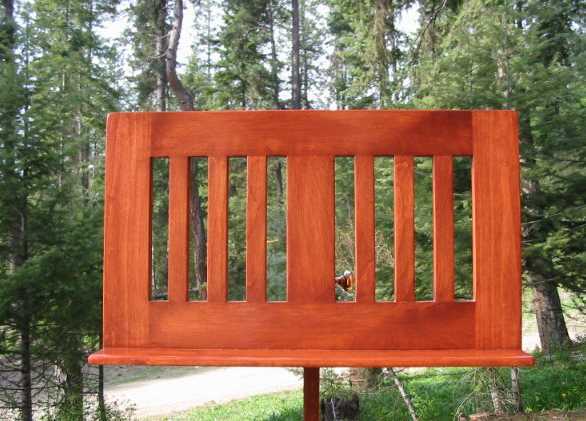 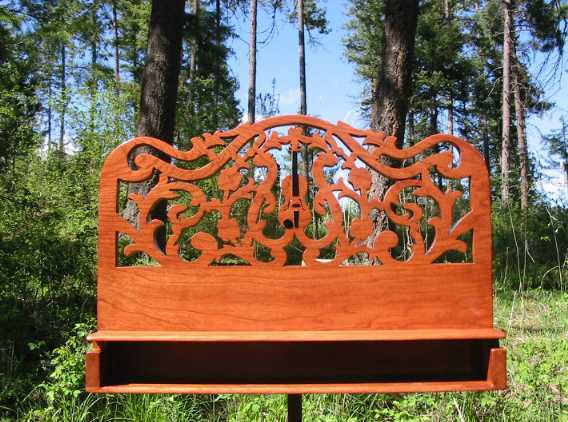 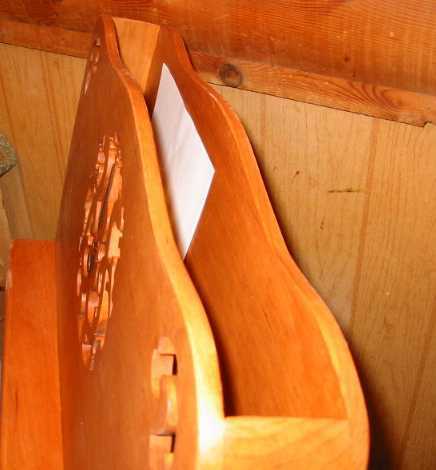 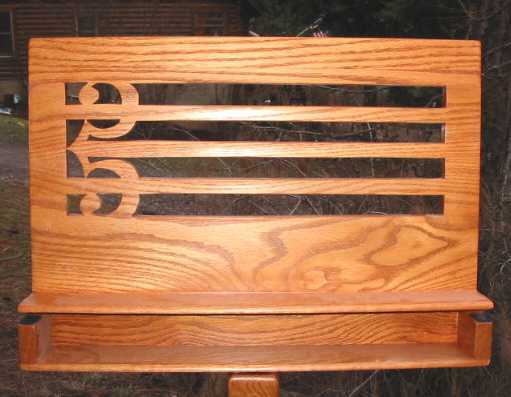 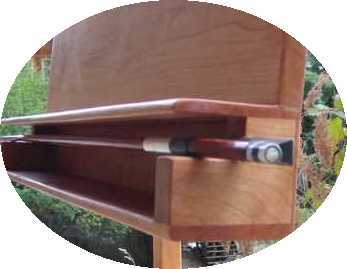 Double Back designs allows you to store sheet music in between the two frames !!!! 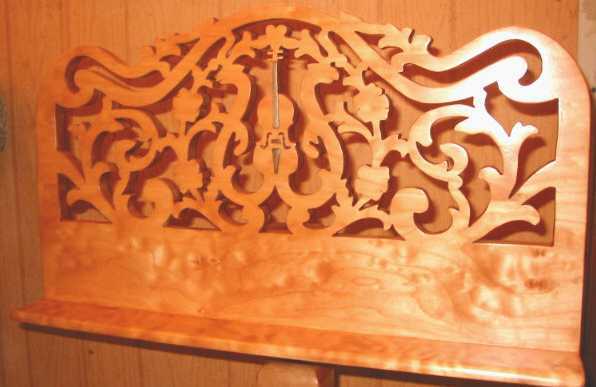 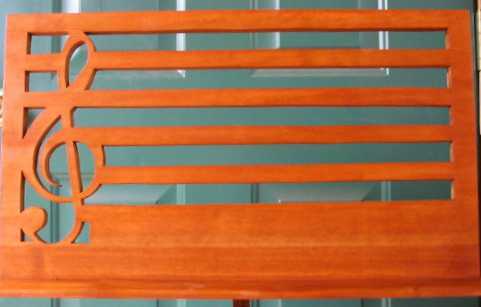 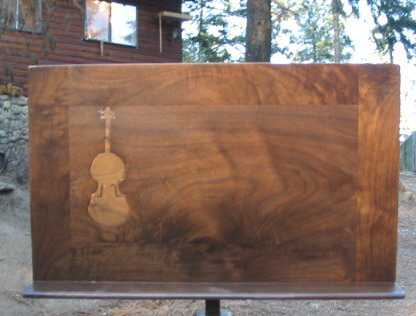 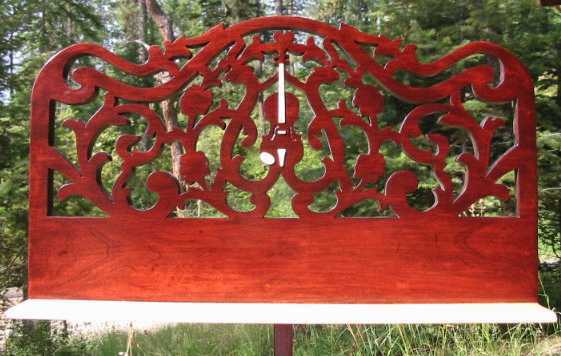 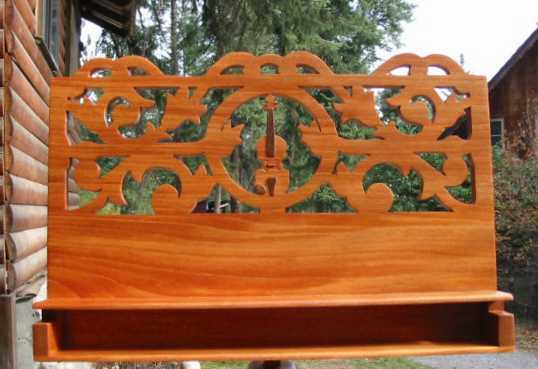 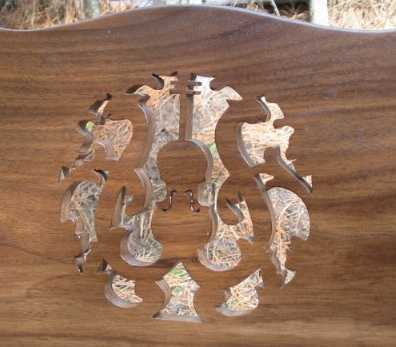 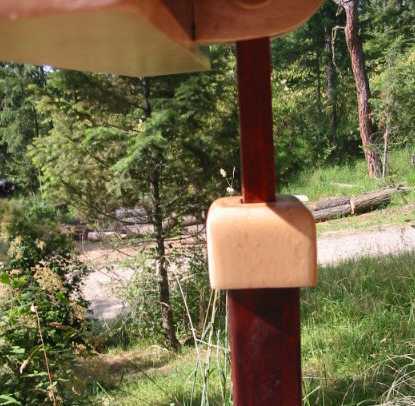 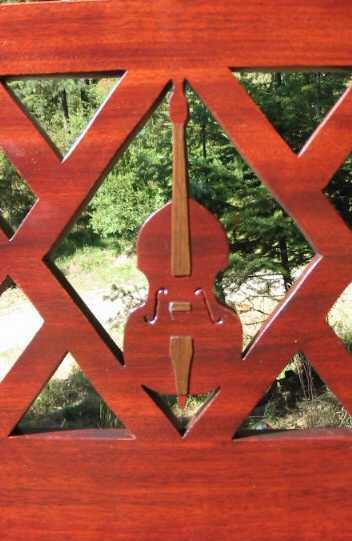 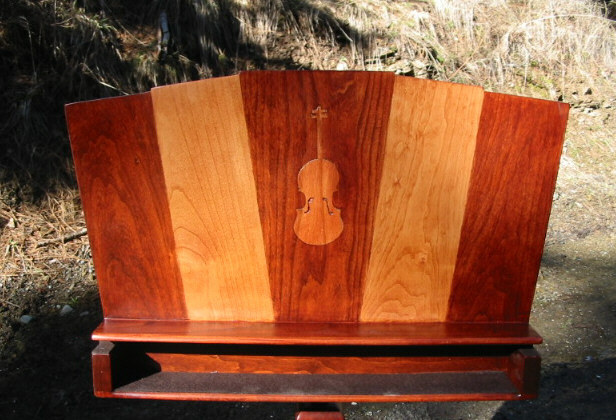 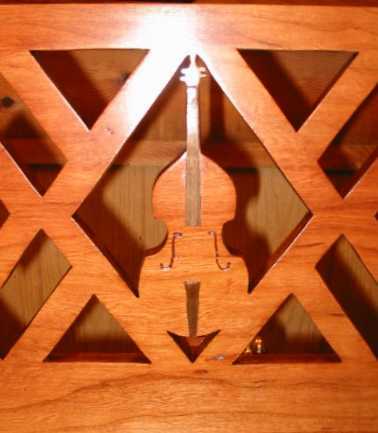 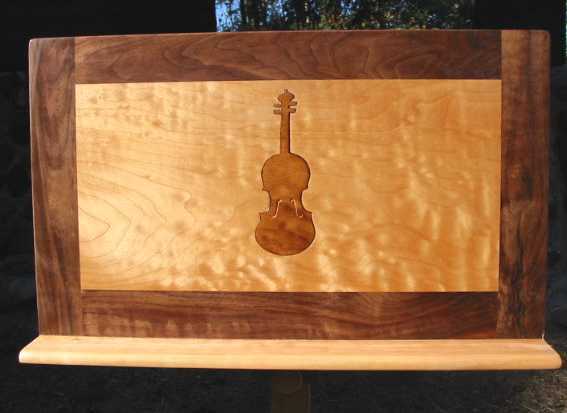 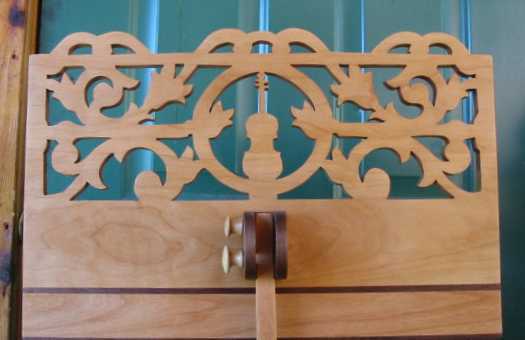 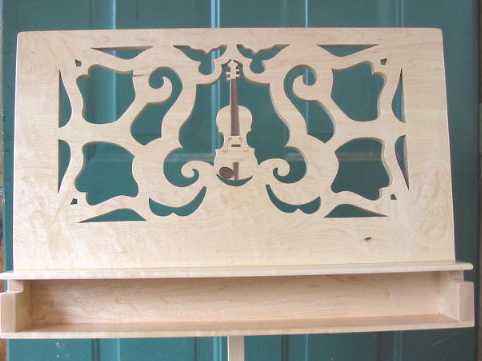 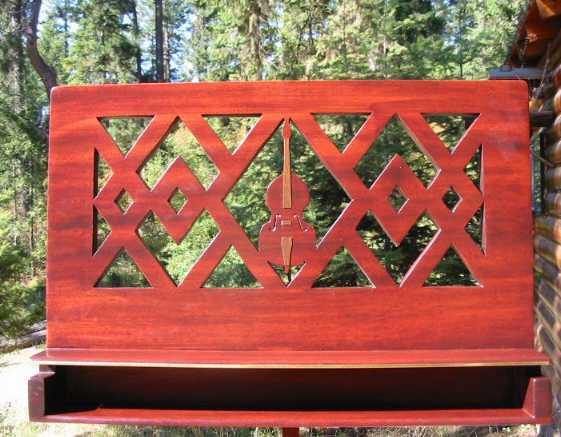 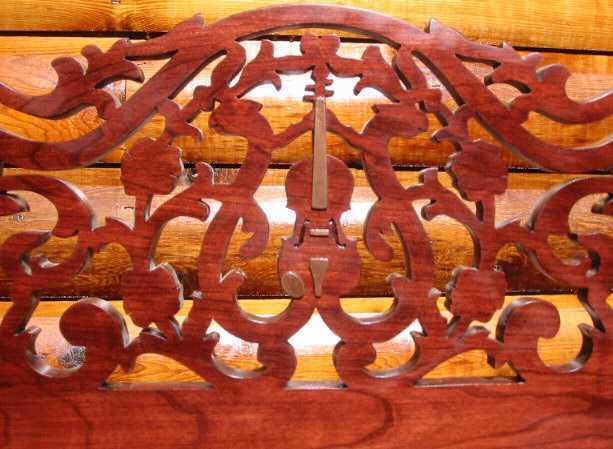 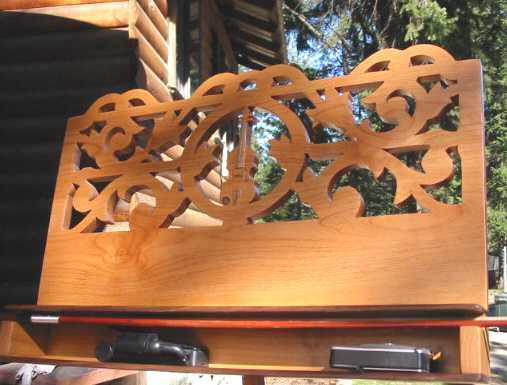 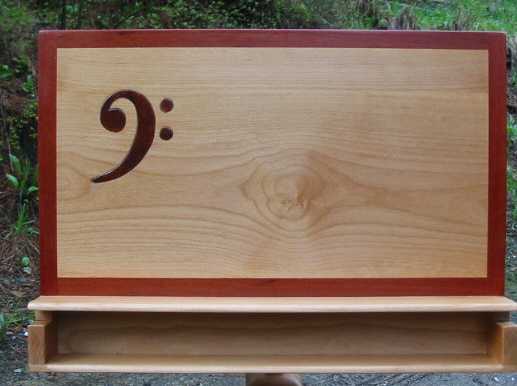 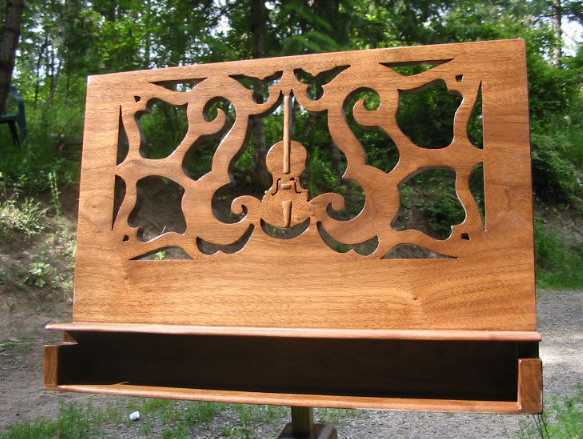 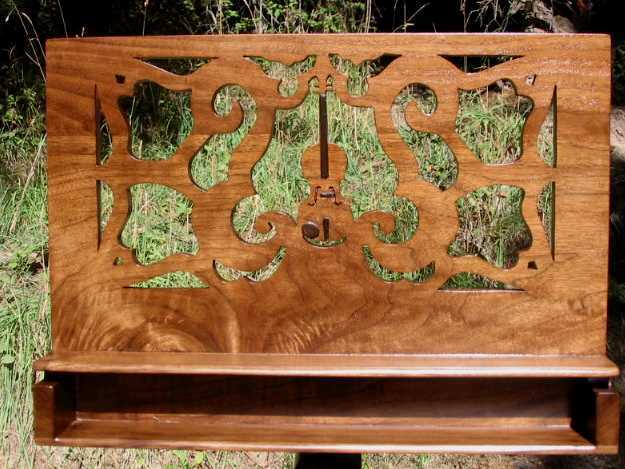 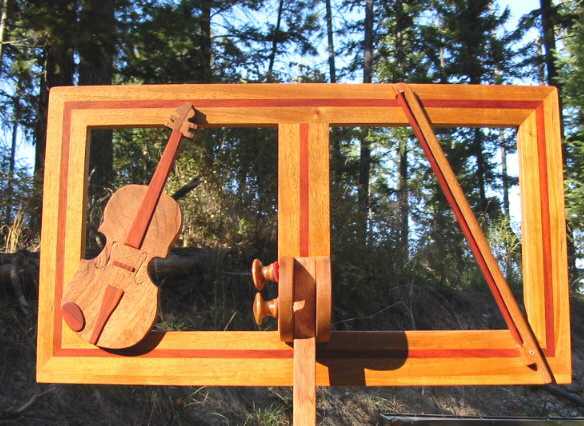 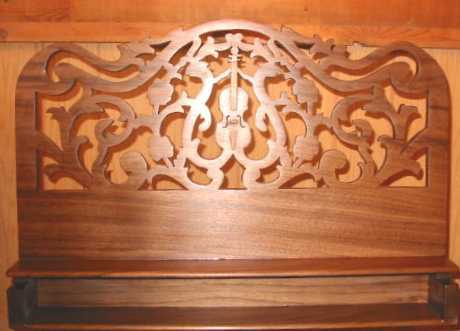 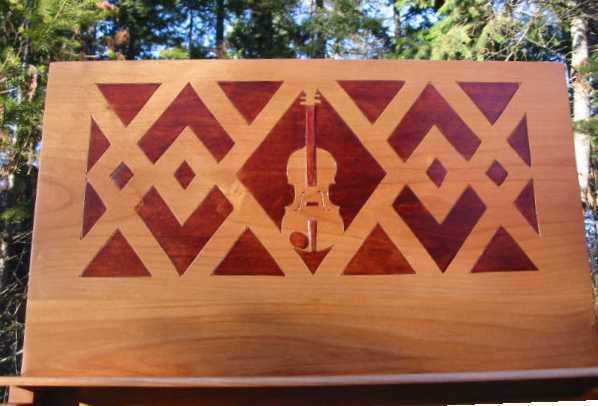 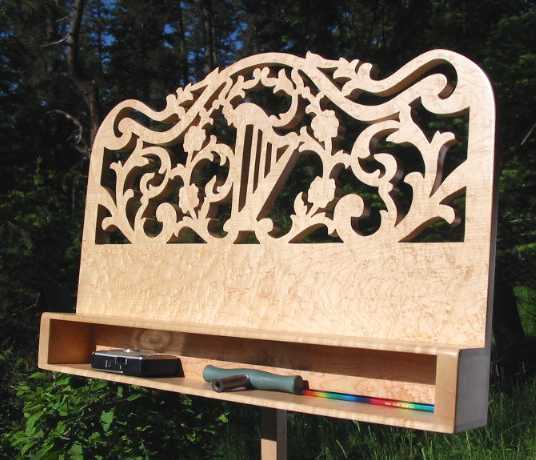 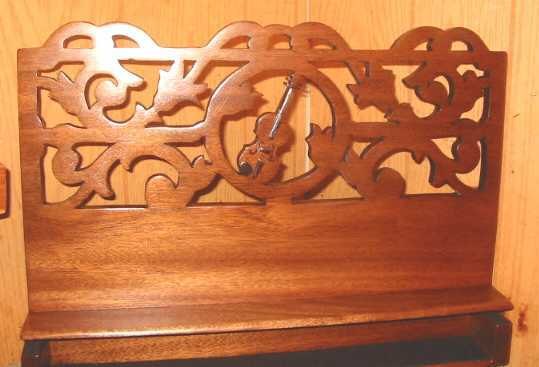 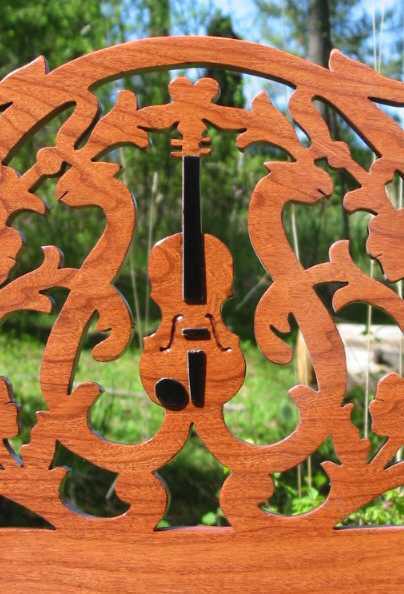 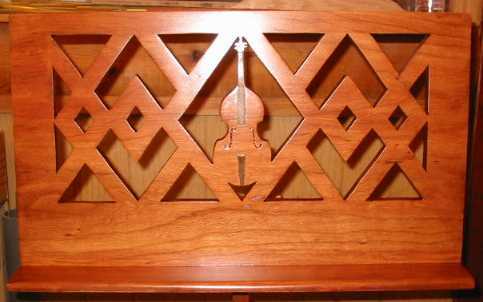 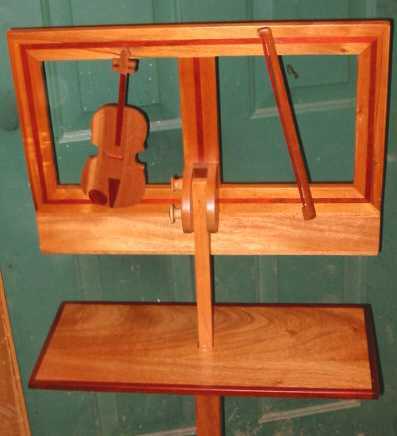 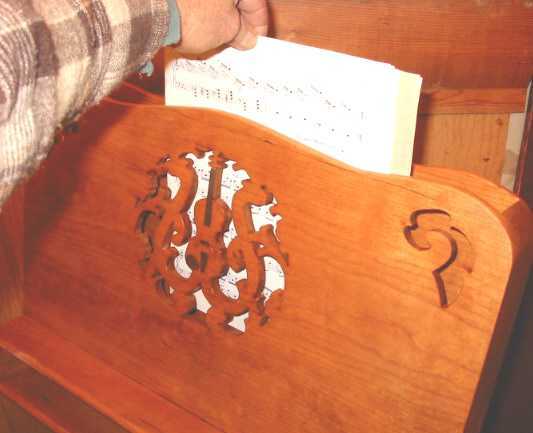 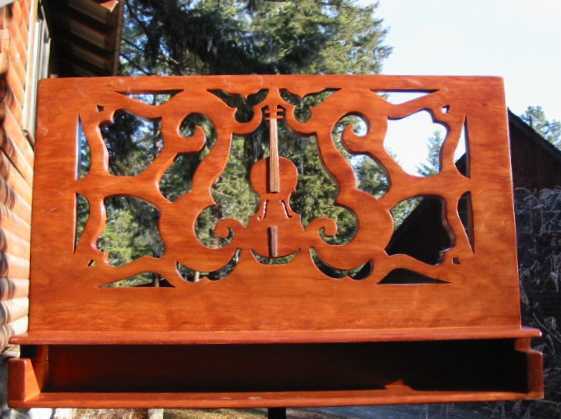 Violin & bow inlay stand this is the more true color !! 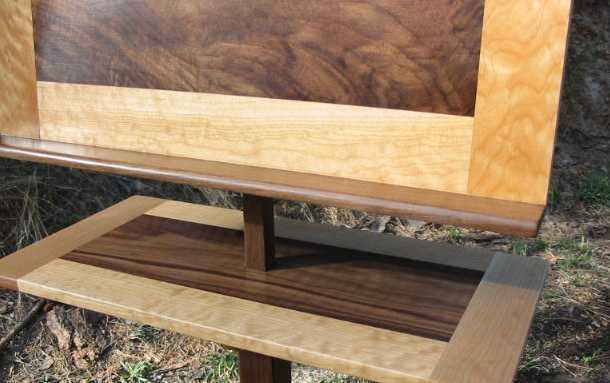 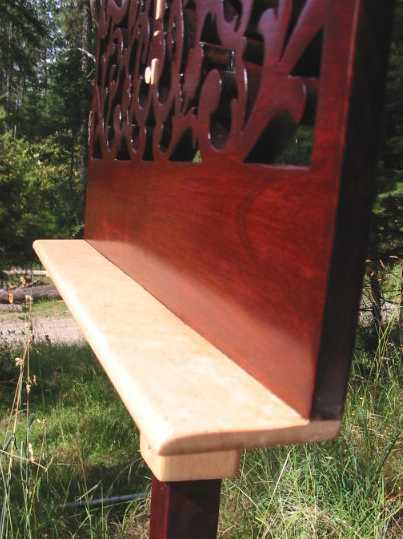 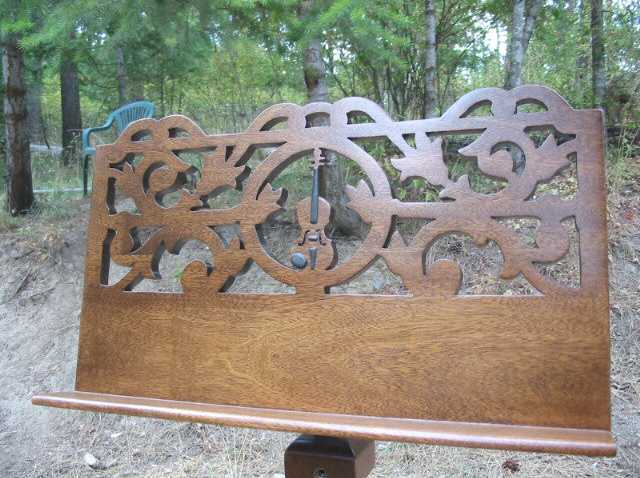 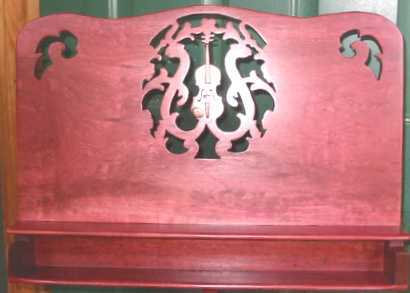 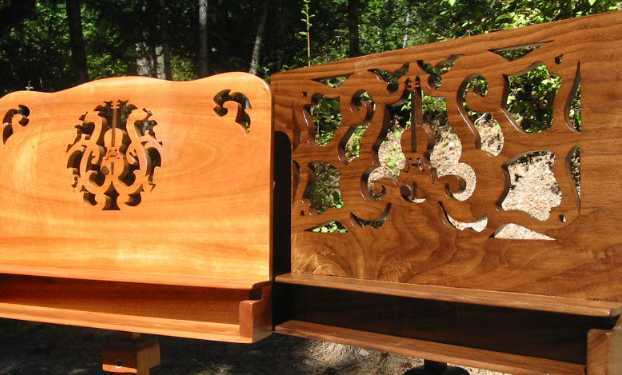 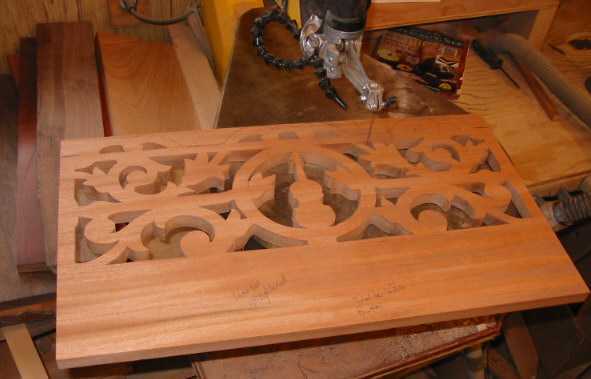 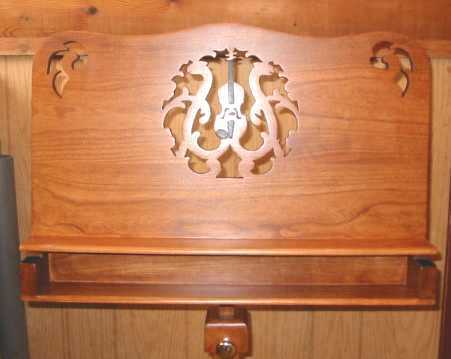 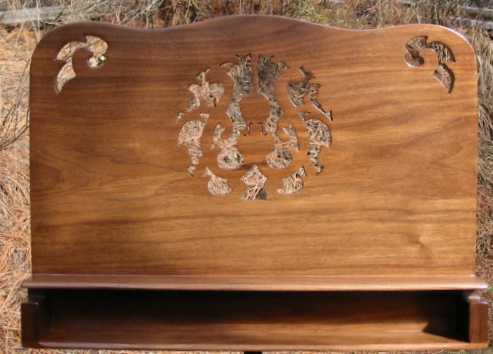 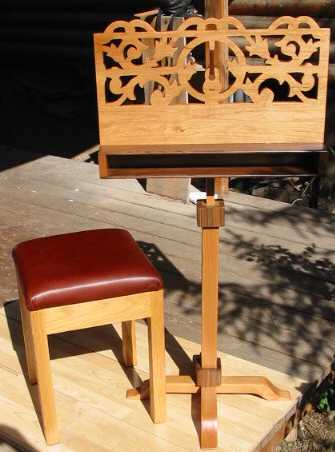 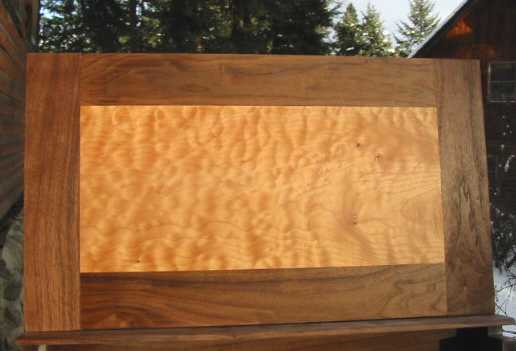 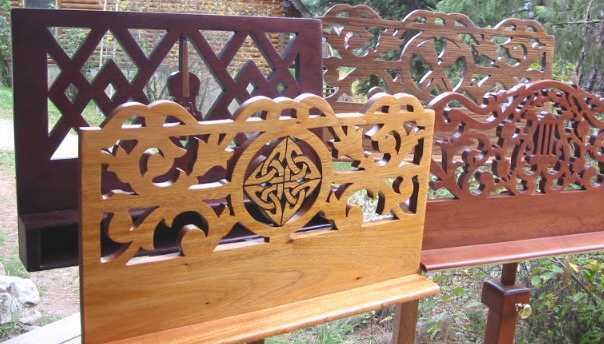 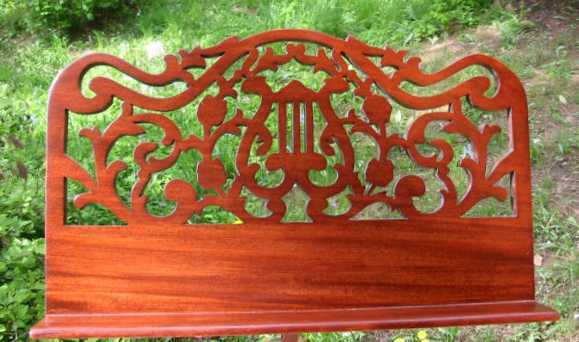 walnut with red mahogany stain..